Category: Souk Collection. Tags: hand woven, kilim, Moroccan, one of a kind, traditional handicraft, vintage. Hot pink, lime, zesty lemon, orange, emerald, rust, black and white all feature in this vintage kilim pillow cover. 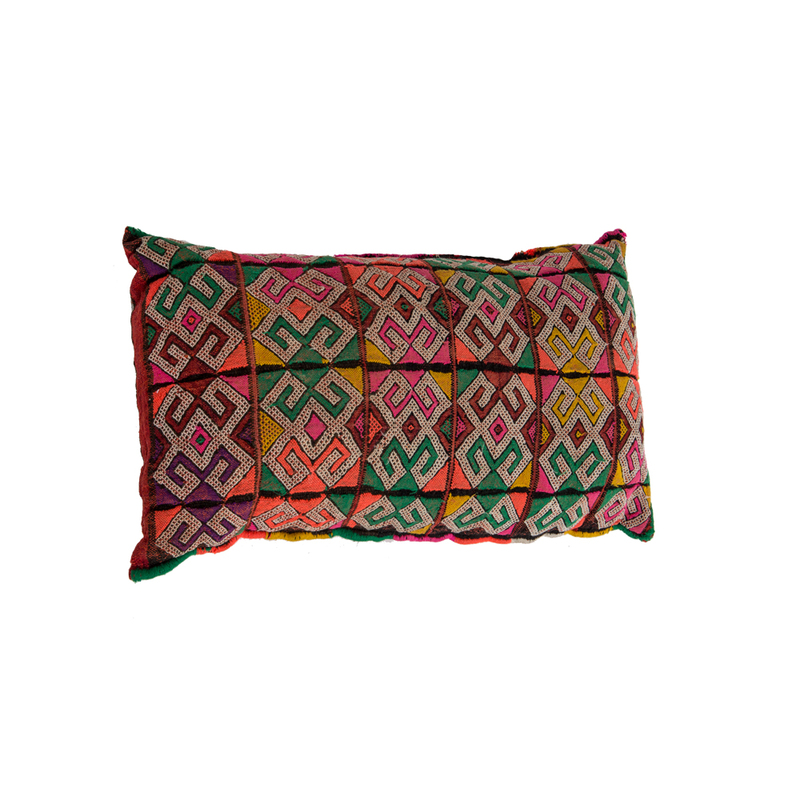 This unique pillow with its pattern of hot colours works well on its own on a sofa or chair or mix it with other kilim pillow from the collection for a boho look. Scroll over the images to see the design in more detail. This pillow is backed with a striped kilim in a complimentary red, hot pink, white, black and lemon.